This north Austin hotel is just 20 minutes from Austin-Bergstrom International Airport and five minutes from downtown Austin. This elegant Spanish Colonial-style hotel is minutes from the best shopping, dining and entertainment Austin has to offer. Guests can dine in the charming Courtyard Café overlooking the lush greenery of the Dovers Courtyard, complete with a cozy fireplace. 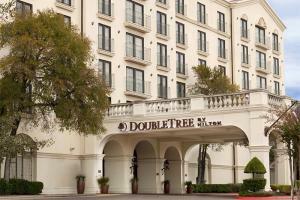 Accommodations include modern, stylish guest rooms and suites with an array of amenities.